¿When you come to visit? With the good fortune to have hot springs whose water contains high levels of lithium - a relaxing element par excellence - the Spa Eco Thermal at Colca Lodge has been carefully designed to offer a unique experience of wellbeing, comfort and relaxation amid natural surroundings and bucolic landscapes on the banks of the River Colca. The word SPA for some is derived from the name of the Belgian locality with a wealth of hot springs while for others it comes from the initial letters of the Latin phrase sanitas per aquam. The Spa Eco Thermal at Colca Lodge starts all its therapies in its own pool - whether massages, coatings or facial treatments. 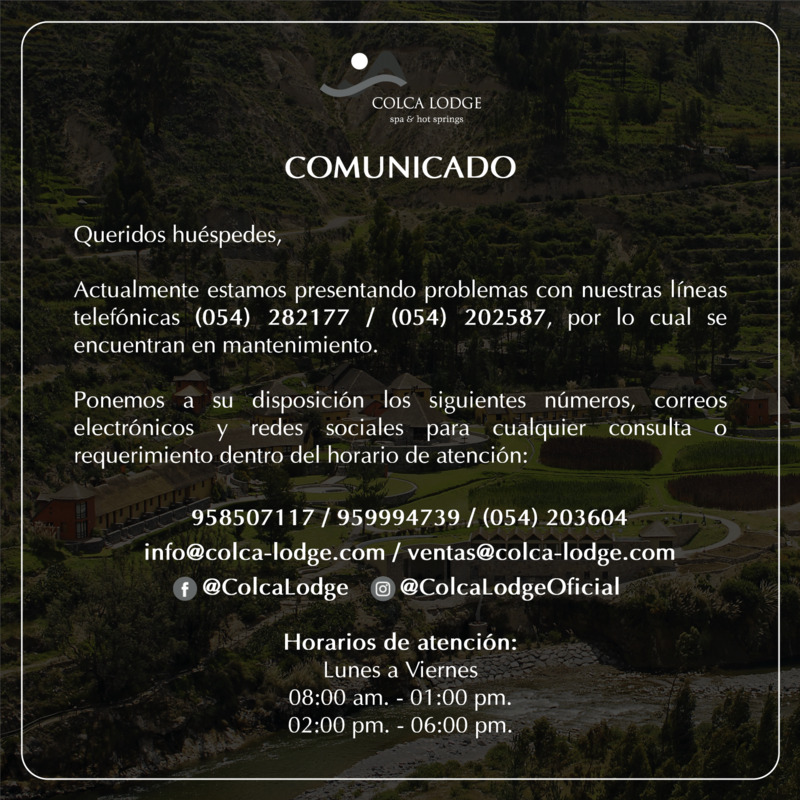 This detail, together with an impressive view over the Colca valley as an incomparable natural backdrop, ensures that our guests enjoy an unequalled natural relaxation experience. This is then continued in the careful hands of our helpful staff.